The Unamo by the River gallery hosted during the week of the Hábitat Valencia fair the Kushi’s Chair presentation, an innovative and handcrafted seat, which has been inspired by a Flamenco comb and which is part of a group exhibition of innovative projects of new talents of Valencian design. 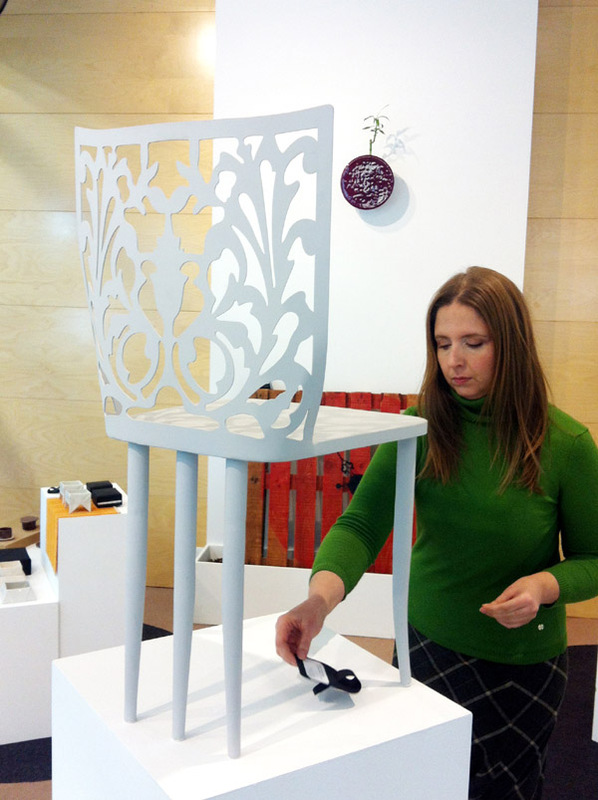 It has been designed by Sanserif Creatius and has been made by Deferro artisans, from the region of Castellón. It is inspired by folk references associated with Spain, with a greater penetration in international markets, in order to bring the technical capacity of creators and Spanish artisans to new countries. The team led by designer Ana Yago decided to make a female ornament for the hair -the traditional comb- in an iconic seat, with strong Spanish roots that could incorporate various production techniques in order to demonstrate the versatility and quality of local artisans. In fact, Kushi Chair is an evolution of convex body and the combination of tooth that are fitted on the bun that make up a comb. However it is adapted to the functional forms of a contemporary seat, in which the esthetics and comfort take precedence. The Kushi Chair, which has been made of wrought iron, presents 5 legs -3 hind and 2 front legs- whose arrangement balances and strengthens the stability of the seat. At the same time, it maintains the configuration of complements, which formerly were manufactured in the tortoiseshell coming from shell of turtles.